Quality check on lyrics: Censorship or consciousness? Jaipur, Oct 28 (IANS) From “Lathe di chadar utte saleti rang mahiya” to “Lathe di chadar utte honeymoon kar maahiya” — the trajectory of film lyrics has been on a downward curve, says singer Jasbir Jassi, who feels a certain censorship can help salvage the situation. But veteran writers like Prasoon Joshi and Amit Khanna believe double entendre songs don’t last too long in the minds of the people and a long-lasting change can only be brought in with a collective social consciousness from the creators and listeners. They spoke about it during a panel discussion ‘Music We Wrote’ at the MTV India Music Summit here on Saturday. “Dil le gayi kudi” singer Jassi, who was in the audience, questioned whether or not songs with “double meaning” should be allowed, is a “debatable” issue. “I was thinking, when I was a child, I used to follow the notorious person, not the one who did things in a more sophisticated way. Children follow those jo gandh daalte hain (who do the wrong thing)… So, I think it’s the responsibility, of the government or the onus lies on the fraternity people to stop them,” Jassi said. 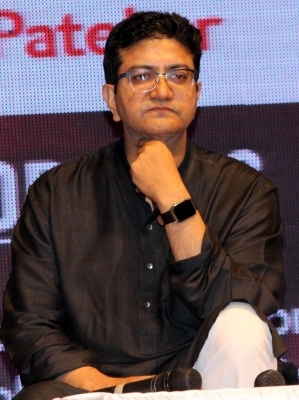 Joshi, a lyricist, writer, ad guru and also the current Chairperson of the Central Board of Certification (CBFC), however, said self-consciousness needs to seep in. “We have to over-correct ourselves and it’s okay to be over cautious as some songs are outrightly outrageous when it comes to portrayal of women. “Having said that, I think the responsibility is equal on the part of the creator and the listener. Remember that the listener has the power of rejection, and probably the audience is not using it that much. They are more casual towards it and let it be. “Whenever these things come up, people blame the makers for it. I think equal responsibility is in co-creation, and I think two-way traffic is important,” Joshi said. He also dismissed the need for the censor board to step in as far as filtering songs and their lyrics is concerned. On his part, Khanna, a media industry veteran, pointed out at longevity of songs with cheap lyrics. “These songs work for two, three or six months. Even if you play Antakshari at home, these songs are not what you sing,” said Khanna, who has himself penned songs like “Kabhi alvida na kehna” and “Uthe sabke kadam” which have stood the test of time. Khanna also said it’s a known fact that films and lyrics reflect the social reality. “Since the last few years, the type of films which are being made, there are the masala films, but there are also sensitive films by younger filmmakers who are more well read and world wise, their work is quite different.